Good things do not come to those who wait -- at least when it comes to this year’s National Cherry Blossom Festival. The National Park Service just reduced the length of this year’s peak bloom. 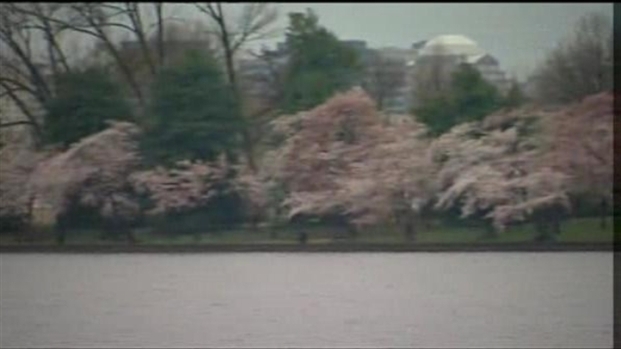 You’ll have to visit the Tidal Basin between March 29 and April 1 to see the trees at their best. The original prediction put the peak bloom at March 29 to April 3. The Park Service said it changed its prediction after deciding the trees were in their “puffy white” stage on Tuesday. That stage usually occurs four to six days before the peak bloom begins. The Cherry Blossom Festival officially begins this Saturday. It runs through April 10. Enjoy the cherry blossoms while you can because they won't be around as long as we thought. A shorter bloom has been predicted by The National Park Service.